- 13, or of 2 mL. - 18 or 10 mL. - 20 or 25 mL. 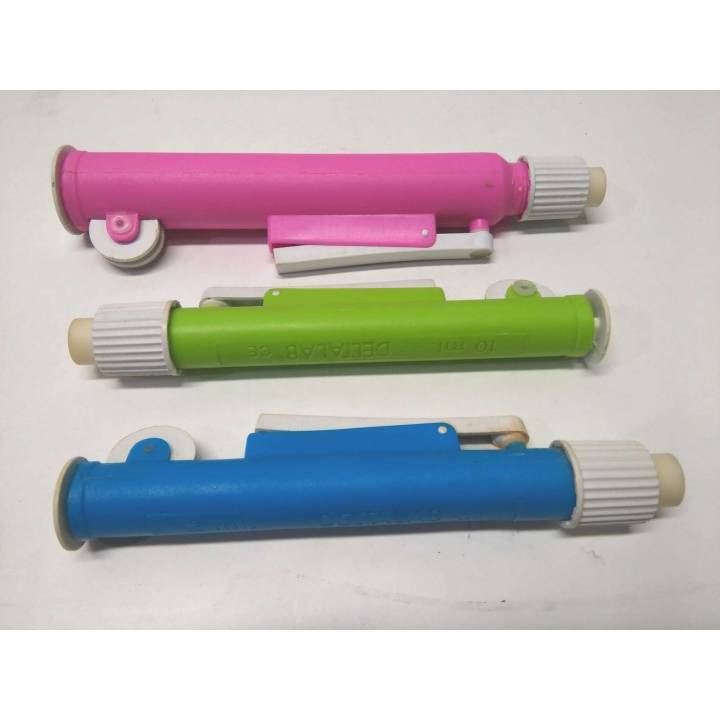 Suitable for pipettes and standard disposable. Thanks to its flexible accommodation, the pipettes fit smoothly, avoiding risks, even with liquid toxic or corrosive.Easy to use with one hand. 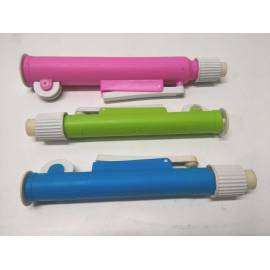 By turning the toothed wheel up or down you get a filling or draining required; pressing the plug side produced a self draining.Removable, easily cleaned.Each color of vacuum corresponds to a size of pipette. Resistant to acids and alkalis.